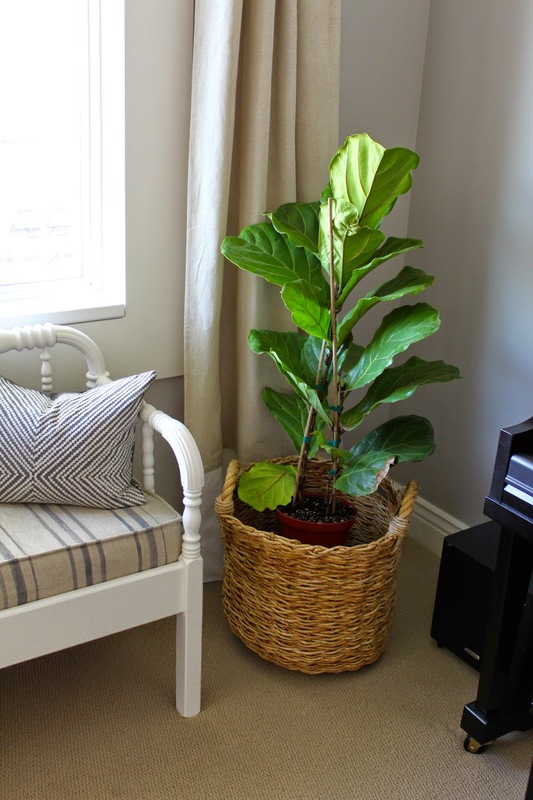 Back in May I mentioned in This Post that I wanted a Fiddle Leaf fig for my corner basket. I FINALLY found one that was a good size for a GREAT price!!! $17 for this 3ft. tall plant at J&J's nursery in Layton, Utah. I have waited and watched Home Depot and Lowe's for months now and finally gave up on them ever getting in a well priced large fig tree (I have seen online that people in other states have been able to find some great ones there - but no luck for me). I knew that Ikea and Walmart have some for just $13 but from what I have seen most seem to be under 2ft. tall and I knew this spot needed one a little taller. Back in June I decided to try a local nursery (J&J) but when I went, all I saw was a very large tree priced for around $400!!!! I didn't investigate any further and left. Today I was feeling desperate and decided to try J&J's again- I'm so glad I did! They had quite a few fiddle figs this size and even had a VERY large one for just $95 (I was tempted but thought I won't feel too bad if I kill a $17 plant- but I'd be pretty sad if I kill a $95 one). I Love it! 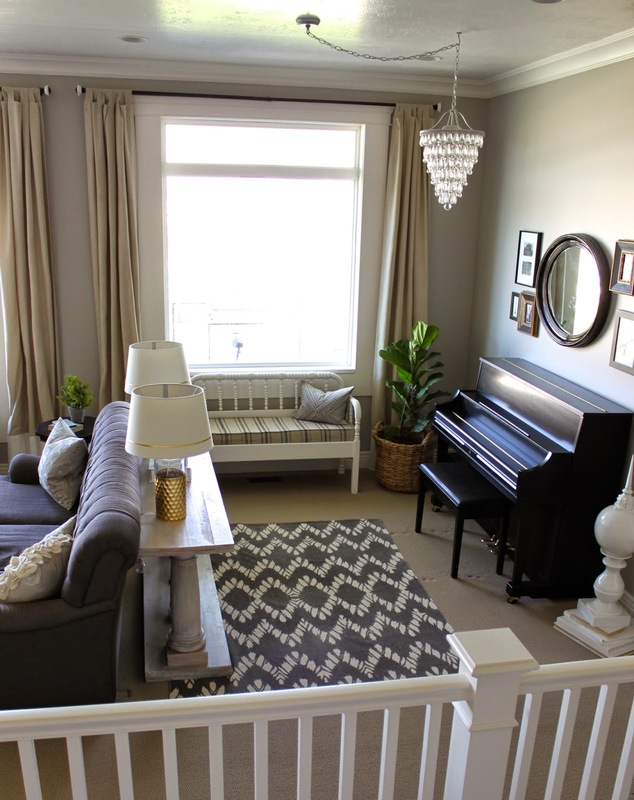 I'm so Happy this room is REALLY done now! I've read up on the care and think I can handle it - fingers crossed! Because I wasn't having any luck, a few months ago I seriously debated getting a fake tree (Kirsten put together a great round-up on her blog of fake figs). In the end though I'm so glad I got a real one and you can't beat the price!